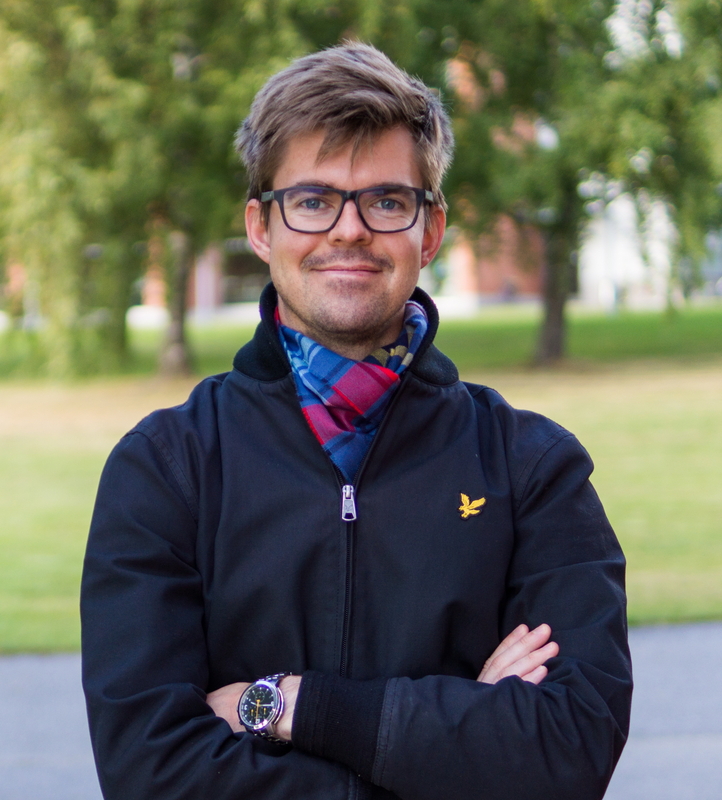 Postdoctoral researcher and MSc in Technology, Jonathan Fagerström, found employment through the Post Docs in Companies (PoDoCo) program. At the company Ferroplan, Fagerström gets to put his research expertise into practice. The aim of PoDoCo is to advance the employment of doctors into companies and improve the ability of Finland’s economic life to reform ambitiously and in the long-term. MSc in Energy Technology and postdoctoral researcher Jonathan Fagerstöm started work at the company Ferroplan in the beginning of September, which specializes in conveyor solutions as well as water and waste management. He became employed through the PoDoCo program (Post Docs in Companies), whose funding the Maj and Tor Nessling Foundation participates in. Originally from Vaasa, Fagerström graduated from Umeå University, Sweden, in 2009 with an MSc in Technology. 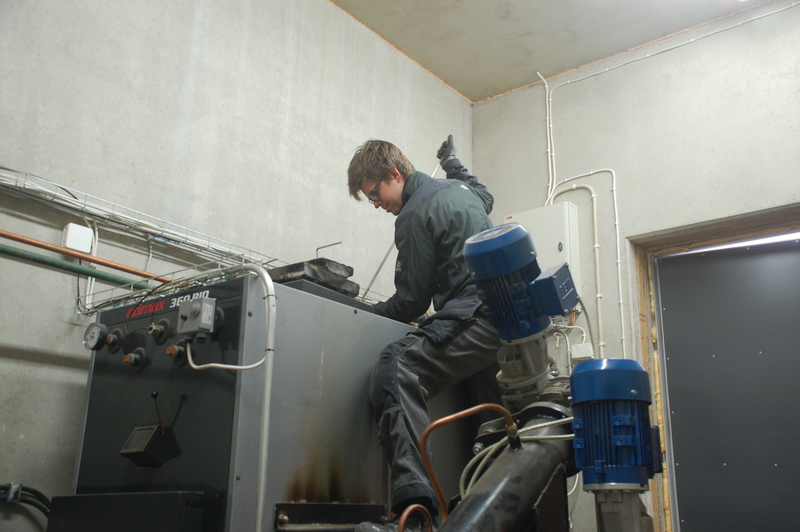 He also completed his thesis at Umeå University, which dealt with how to achieve maximum efficiency in small-scale electricity generation using bioenergy, with minimum climate emissions. Upon completing his thesis in 2015, Fagerström started as a postdoctoral researcher at Vaasa’s Åbo Akademi University. Jonathan Fagerström found employment through the PoDoCo program. Fagerström had already heard of the PoDoCo program before, but only after hearing Ferroplan’s founder, Pentti Patosalmi, talk about his company in a conference organized by the Ministry of Agriculture and Forestry in January 2016, did he get inspired to try and join. Ferroplan, situated in Orimattila, seemed like the perfect company in which Fagerström could put his research knowledge and expertise to use. He had been developing an environmentally friendly fuel from which the maximum benefit could be obtained. Ferroplan, in turn, had begun investing in cleantech, or technology that advances the sustainable use of natural resources in their waste management. “My research is very applied and I wanted to get to develop it in the business world,” Fagerström explains. He suggested PoDoCo collaboration to Ferroplan, to which Fagerström’s delight the company agreed to. Fagerström’s collaboration with the company will last for two years. The Nessling Foundation, involved in the PoDoCo program, will fund Fagerström and Ferroplan’s project for the first year. During the second year Ferroplan itself will directly employ Fagerström. According to Fagerström, working with the company provides reassurance that his own research is useful also in the business world. At the company, direct feedback is provided on whether the contents of the research work in real life. “Customers will immediately tell you whether something works or not. If something goes wrong, I let the university know that we still need to think about and research this. It’s a dialogue in both directions,” Fagerström describes. The company benefits from employing researchers, too. Researchers have the most detailed know-how of their own field, which the company can make use of. Jonathan Fagerström inspecting the test results of his research. Fagerström’s fuel engineer skills have direct benefits for Ferroplan. Furthermore, the collaboration between researcher and company offers the company a trump card against its competitors. Fagerström thinks that the PoDoCo program opens up an important interaction channel between companies and universities. The next PoDoCo application process is open from 15.9-31.10.2016. The Nessling Foundation will participate in the program along with six other foundations. Each foundation will fund the work of a doctor-company-pair that corresponds to their foundation’s purpose. The Nessling Foundation will fund research that advances environmental protection, so the hope in the autumn’s application process is to find two ambitious collaboration projects solving environmental challenges.